Two rings given to one woman; one from her mother and the second from her mother-in-law. The rings were similar in style but different enough to tell them apart. The wish? To create a ring with her motherâ€™s cluster head in the center and use all the diamonds from her mother-in-lawâ€™s ring in the rest of the ring. The idea? After examining different settings and patterns, she decided on a classic design . 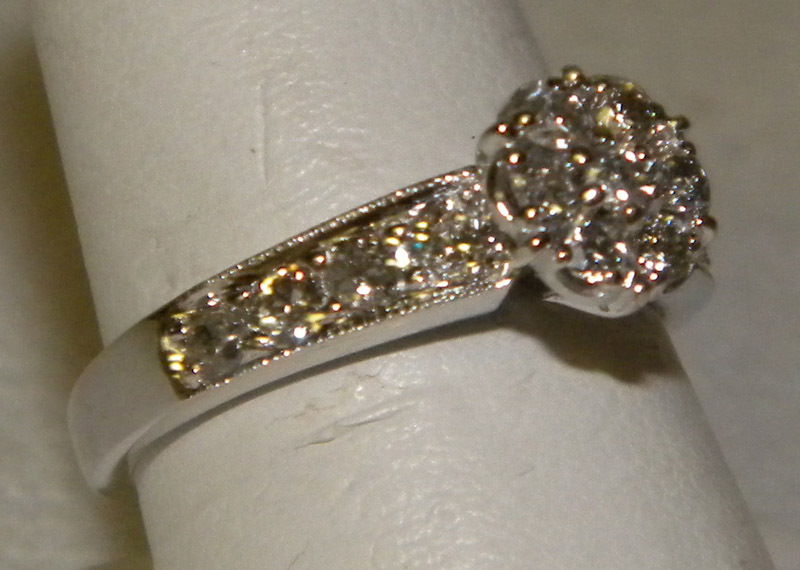 By removing the yellow gold shank on her motherâ€™s ring and the diamonds from the other ring we created a whole new look using all the stones from both rings. 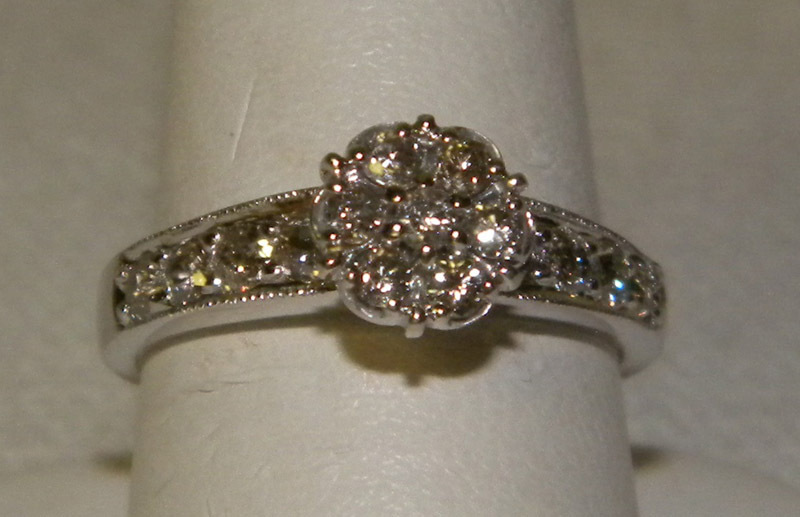 The client decided to add one more stone so 4 stones would be on each side of the center. By lowering the center head and setting the other stones in the shank she has a ring blending both her family and her husbands and a style that transcends trends. This is a ring she will wear forever.